Sean Anthony Cash has been with Friends University since 2010 as an adjunct instructor of marketing. 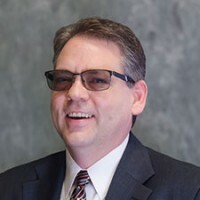 In 2018, he became the program director for the undergraduate business management program in the College of Adult and Professional Studies. He teaches core business courses in the program. He has a distinct career in business and entrepreneurship, which has involved starting, managing and exiting four separate businesses in his career. He has held leadership roles in small businesses as well as Fortune 100 companies while specializing in marketing, new product development and implementing business growth strategies.